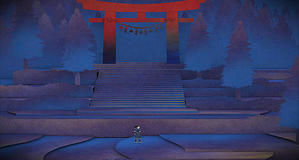 Developer Nyamyam has pushed the release of indie adventure Tengami back until January 15th, 2015. Why? They're concerned the game will be buried under the big titles out this Christmas. Nyamyam don't want Tengami caught in the crossfire and so feel January would be better for both sales and press coverage. However those who've pre-ordered get their Steam keys 'in a few days'.